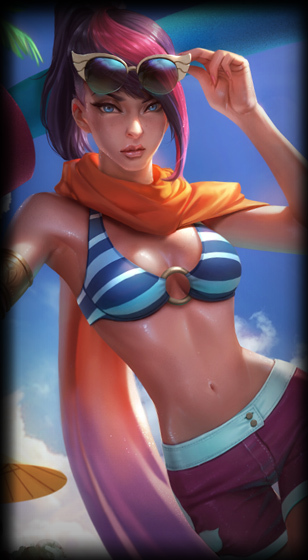 Surrender at 20: Pool Party Fiora, Miss Fortune, and Taric now available! "Don't worry, I am here." 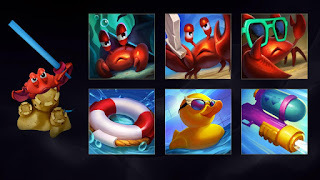 Pool Party Fiora, Miss Fortune, and Taric, several new summoner icons, the His Royal Crabness Ward, and more are also up in the shop! 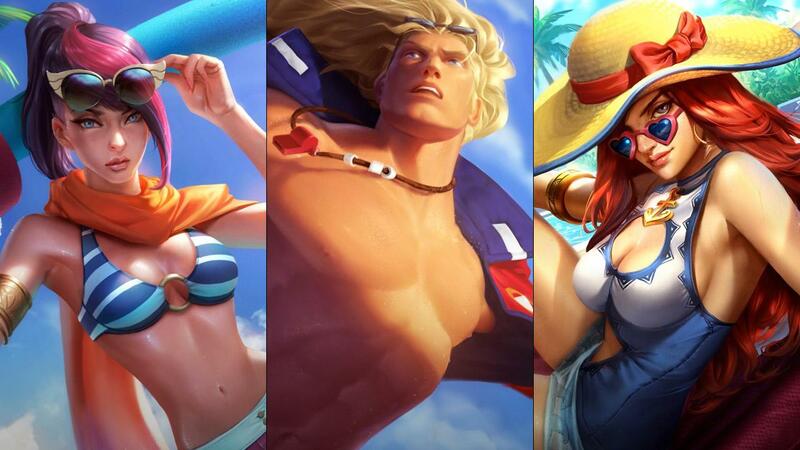 Continue reading to head on down to the pool for better previews of the new skins & content! From the official release announcement - "And the Pool Party Pentathlon winners are... "
"Miss Fortune: *taps mic* Hello, hello! Are we all having a good time? Draven, Renekton, Zac, Graves, Ziggs, Leona, Lee Sin, Dr. Mundo: Yes!!! 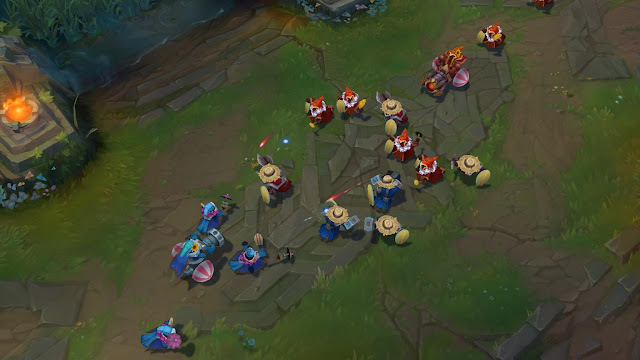 Fiora: I have no equal. 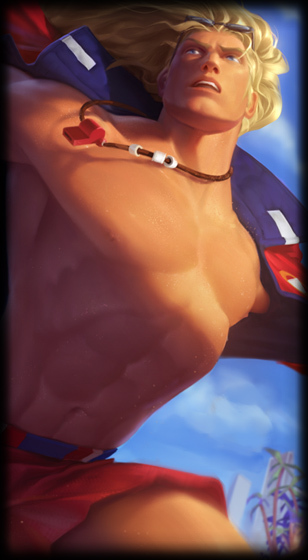 Taric: Thank you, thank you. 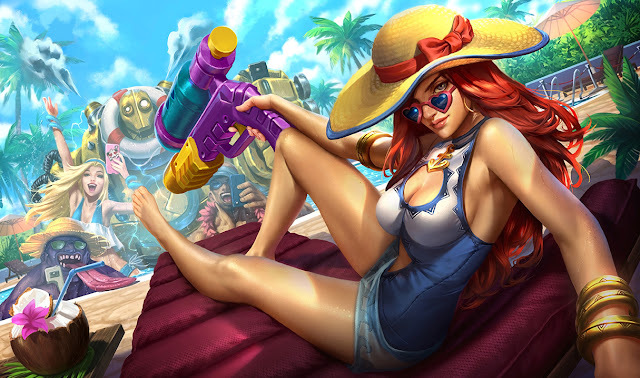 Miss Fortune: And the winner for Bombshell Beach Hair, Poolside Poise, and Style-savvy Swimwear... *laughs* Oh, isn’t it obvious? It’s me, of course! Lulu: Heeyyyy! Who’s counting these votes? Dr. Mundo: Kiss for Mundo! Mundo in LOVE. 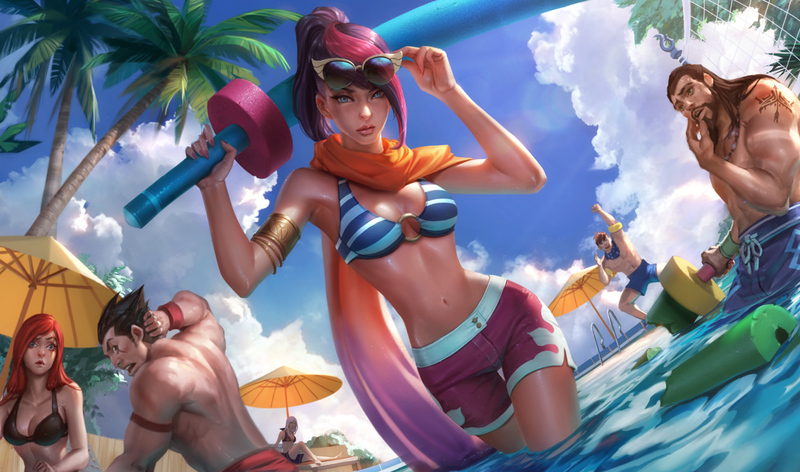 Joining the Pool Party skins are new skins for Fiora, Miss Fortune, and Taric! 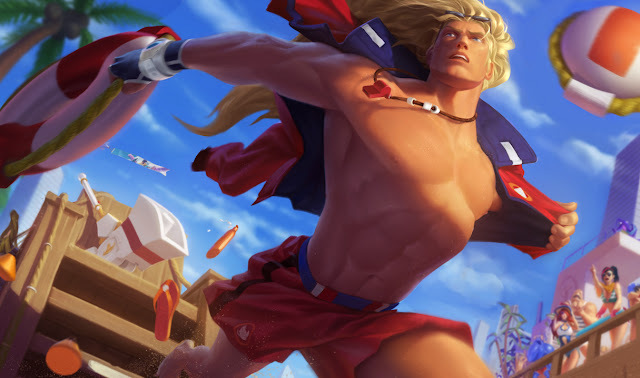 A new pool party themed HIS ROYAL CRABNESS ward skin is also now available for 650 RP! 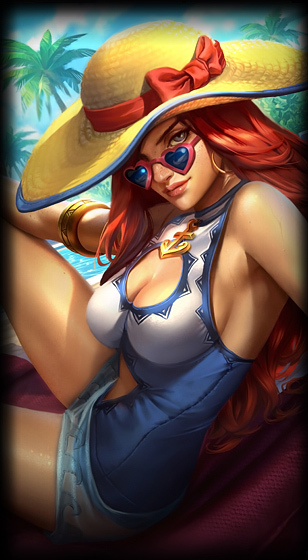 We also have a set of six new Pool Party Themed summoner icons - each will run you 250 RP each. The Lifesaver icon (bottom right) is also available for 1500 IP through July 18th! 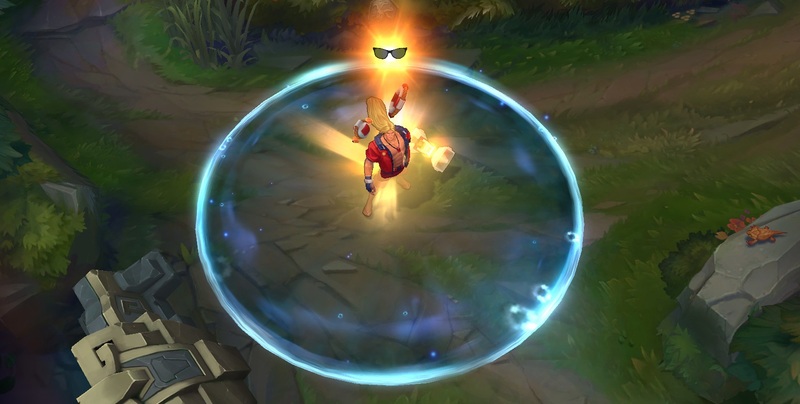 As mentioned above, the Pool Party themed minions are hitting unranked and bot Summoner's Rift games through July 25th!